"If it tastes good, it must be right." As the owner of Florida’s Cuvee 30A restaurant located at 30Avenue, Partner and Product Development at Kinder’s Organic and All Natural BBQ Sauces, and the inventor of Grill Plus Instant Marinade, Chef Tim Creehan’s biography reads like the American dream. Born in Hartford, Connecticut, but spending most of his childhood and young adult life in Baton Rouge, Louisiana, he discovered his calling at a very young age. He was gifted with an extraordinary talent in the culinary arts and the vision of an entrepreneur, and he delighted in sharing it with the world. Now a respected local businessman with bona fides, he is a Certified Executive Chef, author, teacher, inventor, a dynamic entertainer and a steward of his community. Creehan’s career began at Steak & Ale in Baton Rouge when he was only 14 years old. Two years later, he was the Executive Chef at Joey’s. Studying under Executive Chef Philippe Parola and then working side-by-side with John Folse, he progressed to Executive Chef at Lafitte’s Landing in Donaldsonville, Louisiana at only 19. 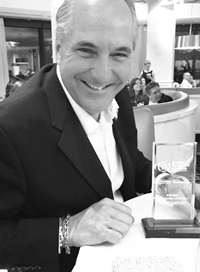 This pattern continued into the present, where he was awarded as Florida Restaurant and Lodging Association’s Restaurateur of the Year. Creehan’s meteoric rise in the field led him to various locations around the world. In 1984, he participated in the American Harvest Promotion at the Hong Kong Hilton for a two-week guest chef appearance. He traveled to Tokyo with his mentor Philippe Parola to cook at FOODEX, the largest international food show in the world, where he prepared a special luncheon for Thomas Foley, then ambassador to Japan. A Corporate Executive Chef stint at Ralph & Kacoo’s Seafood Restaurant was followed by one as Consulting Chef for Delta Pride and Country Skillet Catfish, a Con-Agra Company, where he flexed his flair for recipe creation, food styling, and product development. 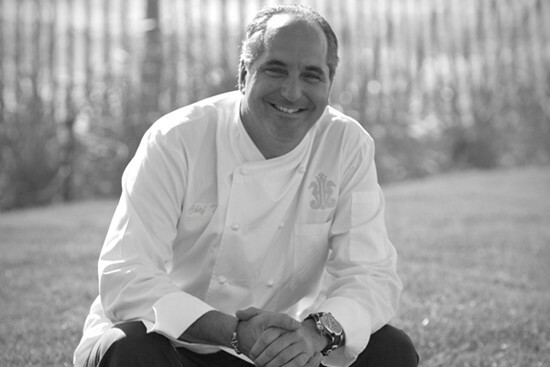 In 1992, The American Culinary Foundation named Chef Creehan as one of the “youngest and most accomplished Certified Executive Chefs in the United States.” In 1999, Cooking Light’s Grandstand ’99 selected Creehan as “one of five chefs in the United States to be honored as a Shining Star Chef.” As part of this honor, he performed in front of thousands at Turner Field in Atlanta. In late 2003 at the DiRoNA International Conference, Creehan spoke on a panel to discuss marketing strategies in the industry. In early 2004, Creehan was selected as one of five “Celebrated Chefs” to represent the National Pork Council at various events nationwide. During all these ventures, Creehan found time to author and publish three cookbooks, “Flavors of the Gulf Coast” (1992), “Simple Cuisine” (2004), and “Exceptional Taste, Tales & Recipes” (2010). A fourth long awaited new cookbook project in collaboration with Kinder’s sauces is in the works. 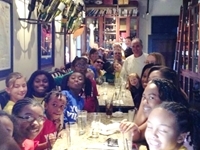 Creehan’s migration to the Gulf Coast resulted in his most enduring legacy, opening or reviving numerous casual and fine dining venues such as Marina Cafe, Beach Walk Cafe, Copper Grill, and Cuvee Destin. Creehan’s culinary vision helped to redefine fine dining on the Gulf Coast, transforming the small town of Destin, once known as the “World’s Luckiest Fishing Village”, into one of America’s hottest vacation destinations. Not surprisingly, he has been voted Best Chef on the Emerald Coast countless times and received an endless parade of awards and accolades. Various high profile appearances were scattered throughout this part of Creehan’s career, including the SeaRay Yachts 50th Anniversary show and the wedding reception of recording artists Amy Grant and Vince Gill, the latter garnering him an interview on TV’s “Extra!”. In 2015, he opened his new flagship venue Cuvee 30A at 30Avenue in South Walton County near Panama City Beach, Florida. 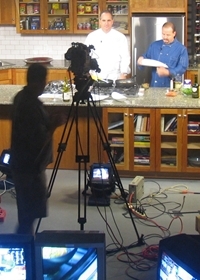 Commonly dubbed the area’s “celebrity chef”, Creehan regularly appeared on various local and national television shows. He’s personally cooked for a slew of celebrities, including Bruce Willis, Jessica Simpson, Debra Winger, Cybill Shepherd, Timothy Hutton, and Dallas Cowboys owner Jerry Jones. He served as Chef de Cuisine at the Entertainment Tonight/Getty Images/Gibson Guitar Lodge during the Sundance Film Festival, where he dished up delicacies for the likes of Matthew Broderick, Danny Glover, and Alan Rickman. 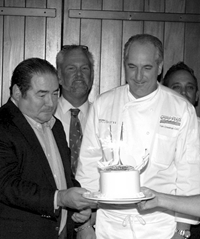 In 2016, Creehan’s longtime friend Emeril Lagasse featured Creehan and Cuvee 30A in an episode of Emeril’s Florida airing on both the Cooking Channel and Food Network. Featured on dozens of “On the Menu” cooking shows throughout the Southeast, Creehan was also the host of the Tourist Network’s “Emerald Coast Chefs” show on Beach TV, appearing regularly in various markets such as Panama City Beach, Destin, Pensacola, New Orleans and Key West. The series showcased America’s most popular chefs in the country’s most fascinating destination cities and resorts, including Belgian born Master Chef Daniel Joly at Mirabella in Beaver Creek, Chad Robinson at Foster’s Wine Estates with Beringer Corporate Chef David Frakes, Luis Pous at Little Palm Island Resort in the Florida Keys, and the Food Network’s Luca Paris. 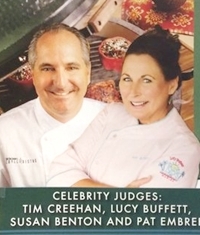 Creehan often appears in live performance settings, demonstrating a signature dish, teaching a “Cooking with Creehan” class, or as a celebrity chef judge of a cooking competition. In addition to performing live, Creehan’s award-winning recipes have been featured on Emeril’s other TV shows and in publications such as Sysco’s Menus Today, Restaurant Business, Cheers, Florida Living, and Cooking Light. Sea Ray Living, Taste, Covey Rise, Ford Times, Haute Living and Bon Appetit publications have highlighted his career as well. In 2001, Country Weekly magazine featured a dish Creehan created for recording artist Tammy Cochran’s hit song “Angels in Waiting”. 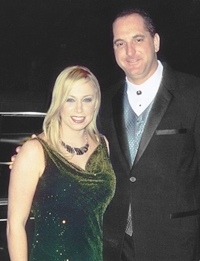 Cochran returned the favor by inviting him to accompany her at the 35th Annual Country Music Awards. Creehan’s mastery of the field produced an innovative tool that was patented in 1997; Grill Plus®, a non-stick instant marinade and cooking sauce. “In the beginning, there was ketchup, mayonnaise and mustard,” Creehan muses. “Grill Plus is the fourth condiment.” The revolutionary instant marinade secured shelf space in retail and grocery stores all over the southeast, including Publix and Whole Foods, and remains a staple of institutional distribution through the US Foods and Sysco Food Corporations. Consequently, countless restaurants and bars utilize Tim’s invention in their recipes and kitchens. In 2017, Tim partnered with the California based national food sauce company Kinder’s Organic and All Natural BBQ Sauces, with nationwide expansion in the pipeline as he takes on the role of product development and consultation at the corporation. Beyond the fame, Tim has instructed middle school students in the All Kinds of Art Culinary program and donated his time, food and talents for many charitable organizations such as Alzheimer’s Family Services, Inc., SOS, Whole Foods Kids Foundation, Destin Charity Wine Auction, Nellie’s Youth Village, Emerald Coast Children’s Advocacy Center, Wine Women and Shoes, Alaqua Animal Refuge, Mattie Kelly Arts Foundation, the American Heart Association and the American Cancer Society. 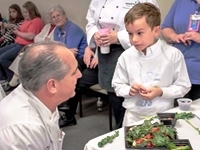 Over the years, he’s personally mentored several aspiring area youths into successful careers as celebrated chefs along the Gulf Coast region, including Vice President of Culinary Jason Knoll of Another Broken Egg Cafe, Owner and Chef Dan Pettis of One 20 A Modern Bistro and Chef Giovanni Filippone of Vue on 30A and “Hell’s Kitchen” fame. 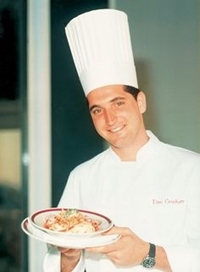 Tim’s passion for the culinary arts and natural teaching talents are indelibly manifest throughout Florida’s Gulf Coast, from myriad restaurants utilizing his instant marinade or serving his signature dishes to the students he’s instructed growing up to run the kitchens or open their own venues. For more information about Tim, visit TimCreehan.com.